With all of our packages that include chairs, we use white, wood, padded wedding chairs with an arched back at a discounted rate. These are super sturdy and comfortable whether your down at the beach, in a park or even on cement. Additional chairs are available at $7 each (includes delivery, set up, and breakdown). If you need more than 20 chairs (unless our Super Luxe package), we do have an additional $95 delivery fee (we use this to rent a truck/van to transport a lot of chairs at one time). Additional delivery fees can be added (but discussed with you first) depending on the location (e.g. 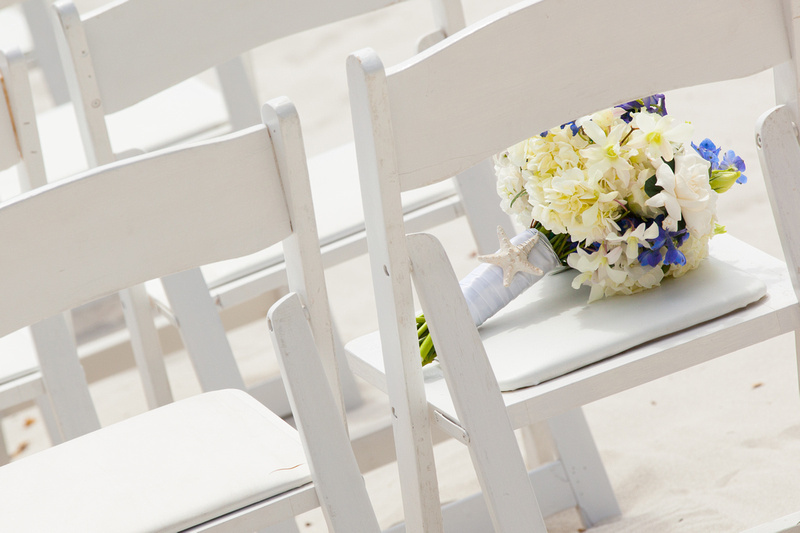 beach locations with a lot of stairs) and overall amount of chairs (in case there are strict permit times and additional hands need to be hired to ensure we can be set up in time...some places only provide about 30 minutes of set up time prior to guests arriving).